it would be nice to have 2 rows filled with the latest used special characters. Indeed that would be a nice feature. A believe a special character split/group button would be the better approach, as it is used in other word processors. > approach, as it is used in other word processors. I think this would be nice and good. A design session happened last friday about this and details can be found at the following google doc. It has also been published on user-prompt for users to comment. I'm starting to work on this. It's the first time I've worked on the LibreOffice code, so I don't know how far I'll get, but I'll post updates on how it's going. Here's a patch for what I've done so far. I have the hex and decimal code search functionality working. Is there a recommended behavior for how to handle codes for characters that are not available? Currently, I am just ignoring them, but I think there must be a better way so that the user knows what the problem is. @Steve: I've pushed your patch into gerrit, though it didnt compile correctly due to new changes in the code. @Yousuf: I will try to take a look at it, but probably won't have a chance until mid- to late-December. There was still more work that I was going to do on this, but haven't had time in a while. If there is anyone who would like to work on this in the meantime, feel free to assign it to yourself. Steve Hart committed a patch related to this issue. Steve@ A polite ping, are you still working on this ? I think this one has been done, it just needs someone to test it to ensure it's correct. OK, moving it to QA for testing. This hasnt been fully completed, as Steve only did one aspect of the redesign of the symbol dialog. See comment 11 and link below. It would be good to push Adolfo's comment 19 patch into 5.1. Yousuf is right about the current patch only partially implementing the requested features. I have unassigned myself to the bug, since I am no longer working on it. -* There is no way to quickly re-use recently-picked special characters, forcing the user to search in the whole character map, which has no filter to narrow down results. -* People writing scientific/legal essays or reports frequently need to insert accented letters and other characters. Bug 98250 suggested we display the unicode character name in the dialog, similar to how it is in the screenshot. The full unicode character information is scheduled to be displayed in the extended mockup within a tooltip. The unicode character name can be pulled from either of these sources. i'm interessed to resolve this easyhack! is there a website/wiki/.. to view how is the logic of the code? which are the files to modify a dialog? is there a IDE to draw the layout of dialog? if not, how to code this? which is the file that contain the code dialog functions? > is there a website/wiki/.. to view how is the logic of the code? You can view the code on git or on the live repo. > which are the files to modify a dialog? > is there a IDE to draw the layout of dialog? if not, how to code this? > which is the file that contain the code dialog functions? The dialog is designed with the glade editor. You can join the #libreoffice-design and #libreoffice-dev channels on freenode for people to discuss the issue with. A polite ping, still working on this bug ? yes, i'm work on it! > yes, i'm work on it! > > yes, i'm work on it! yes i'm work and submit a patch! > > > yes, i'm work on it! > yes i'm work and submit a patch! And the patch contains a response to what you need. 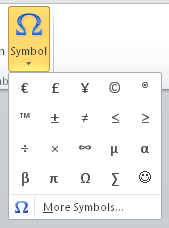 I have installed 5.4 alpha and it still doesn't have a StringGadget "Recently used symbols" like MS Word does. 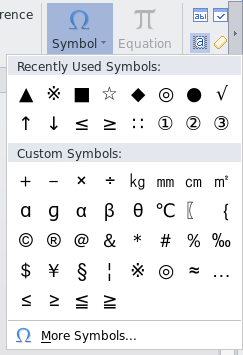 > "Recently used symbols" like MS Word does. @Federico, are you still working on your patch ? Or should its work be abandoned and this issue unassigned? Akshay is taking this on as a GSoC project. Research and review H&R Block jobs. Learn more about a career with H&R Block including all recent jobs, hiring trends, salaries, work environment and more.